How can I add an application to the Open With menu (shown after right-clicking) for a given file type, without making that file always open with that application? In this specific instance, I'd like to the option to open an Web site location (.URL) file with TextEdit, while still defaulting to Safari. If the application is signed, modifying an Info.plist invalidates the code signature. It also makes a few applications like TextEdit and WriteRoom crash on launch on 10.8. Try selecting the file in the Finder and doing File > Get Info. From there you should be able to choose any application to open it with. Once you've opened that type of file in that application once, it should start appearing in the Open With menu. Control-click (or right-click) the app in question and select "Show Package Contents"
Open the Contents folder in the app bundle. There you'll find a file called Info.plist. This is an XML property list that stores all sorts of information about the app. Open the file with your favourite text editor. I recommend Hydra, but TextEdit will do just fine. and so forth, with the suffices the app is able to open contained within the tags. Then you simply delete [or add --newtron] the suffix for items you don't want [or want] the app to open. Save the file, and close it (or quit the editor). After restarting the system the desired app was in my "open with" context menu. Instead of opening the file with the context menu, you can also drag any file to any desired application while pressing ⌥+⌘ keys. This will force any app to try even if it thinks it can't do so. I use this all the time. You can add the option as a Service with Automator and then trigger it with a Hotkey from Keyboard Maestro. Open Automator and select Service document type. Search for and select the Open Finder Items action. But you don't have to stop there! There you'll find a file called Info.plist. This is an XML property list that stores all sorts of information about the app. Open the file with your favourite text editor. I recommend Hydra, but TextEdit will do just fine. You can't save the edited .plist if your account doesn't have the correct permissions (the issue I'm dealing with now--even at admin status you won't have read+write permissions over some files and folders...). To save changes to the .plist files you need to give your user read+write permissions. 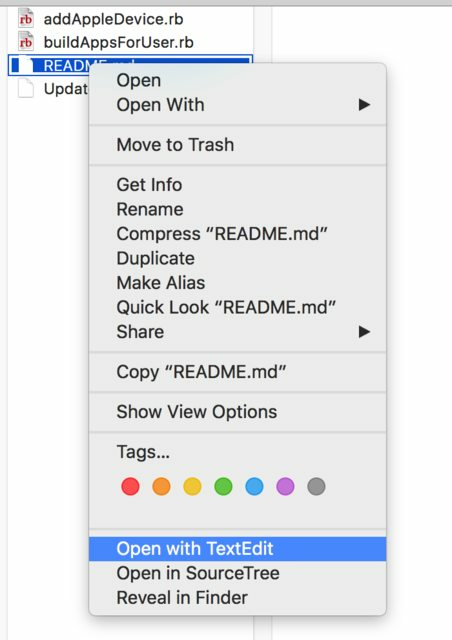 Some of the default Mac applications make this difficult to do and I'm currently searching for a solution (will update) to do this with TextEdit. I had 'AutomatorApplet.icns' in Resources Folder. Check out the tech-recipes.com for detailed instructions. As @Anriëtte pointed out the app should appear on the Open with menu if it can open the specific file. 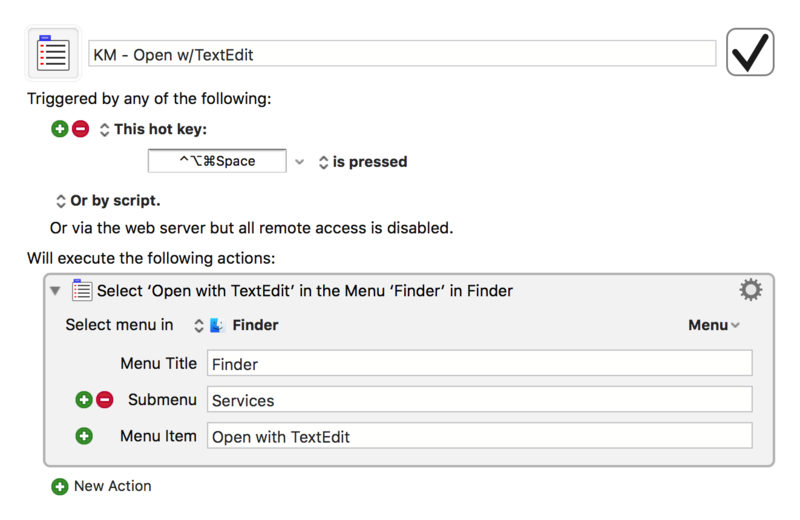 How to permanently put TextEdit in the Open with… menu list? How do I unlock a .plist file so that I can change it?